On the very last day of Eid for this year, I made my way to Bandar Dato' Onn to attend an Open House held by Puan Hajah Ida Amiza. She is an English-teacher-friend who is currently teaching in SMK Mohd. Khalid. I am truly touched for her kind thought to invite me over even though we are not teaching in the same school. I met an ex-student of SMKTUN there, Mr. Fariz Haikal from SPM batch 2010 who happened to be working in the same office as Puan Ida's husband. It is a very small world after all. 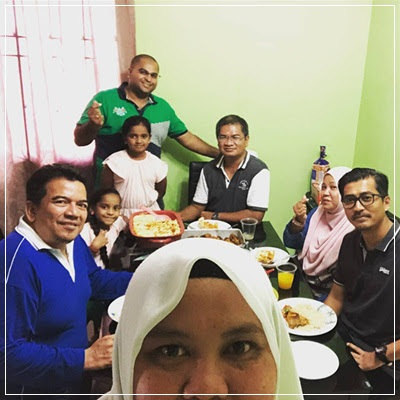 I could not stay long as I had to attend another Eid gathering at Taman Pulai Jaya, a continuation of the visiting series done before. The last house visit for the year was at Puan Rumaiah's place. Besides the scrumptious home-cooked food she served us, we were also presented with the king of fruit, the durian. I could not really eat a lot of this fruit but the temptation was too great too resist. 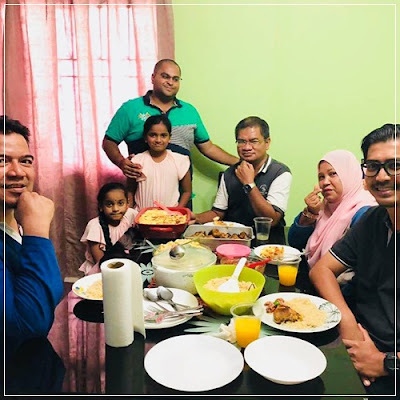 Thanks to all these people for making our cycle of house visits complete this year: Puan Mazzelina Mahmood (SISC+ officer at PPD Johor Bahru), Mr. Mohd. 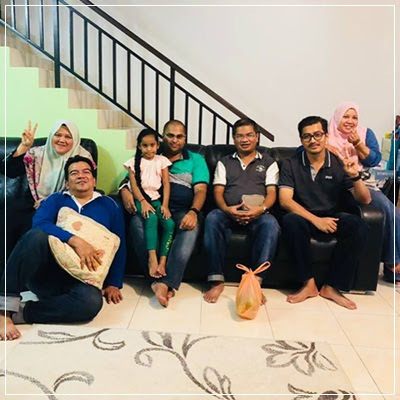 Khir Masbul - the husband of Puan Mazzelina, teaching in STF), Puan Rumaiah Hassan (SMK Dato Yunos Sulaiman) and Mr. Nazree, the husband and also Mr. Saravanan Palanisamy (SM Seni Johor Bahru) who came with his two daughters. Thanks for the time and company, and I could officially announce we are all already fat. Hence the group's motto: let's get fat together. That should be the very last episode of the Eid's activities throughout the month of Syawal. I am glad to be able to meet some people, the regulars and the non-regulars. May we see each other again one year from now.